A Large platter packed with meaty treats. 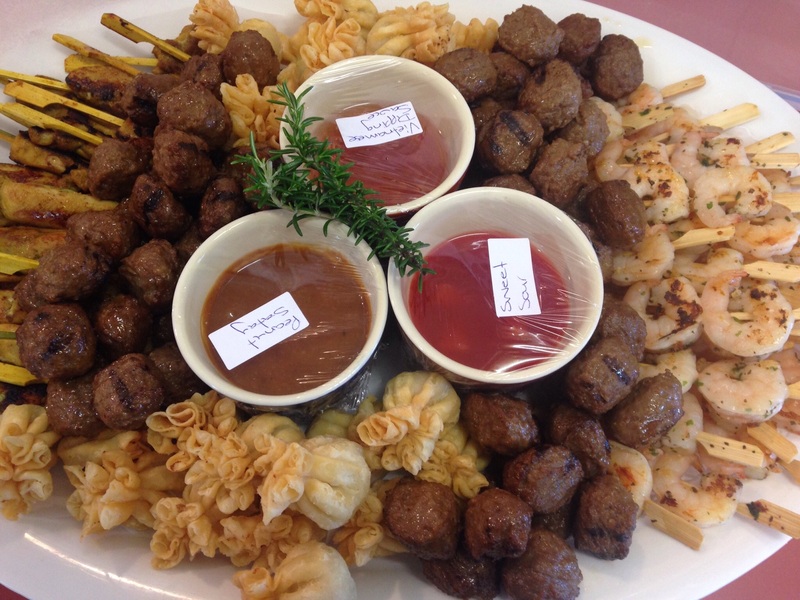 1 kilo of Flame grilled mini meatballs, 24 x Wontons, 24 x Mini Garlic Prawn kebabs and 24 x Malaysian Chicken Satay kebabs. Teamed up with 3 dipping sauces. Served warm.